Ahh, San Francisco. 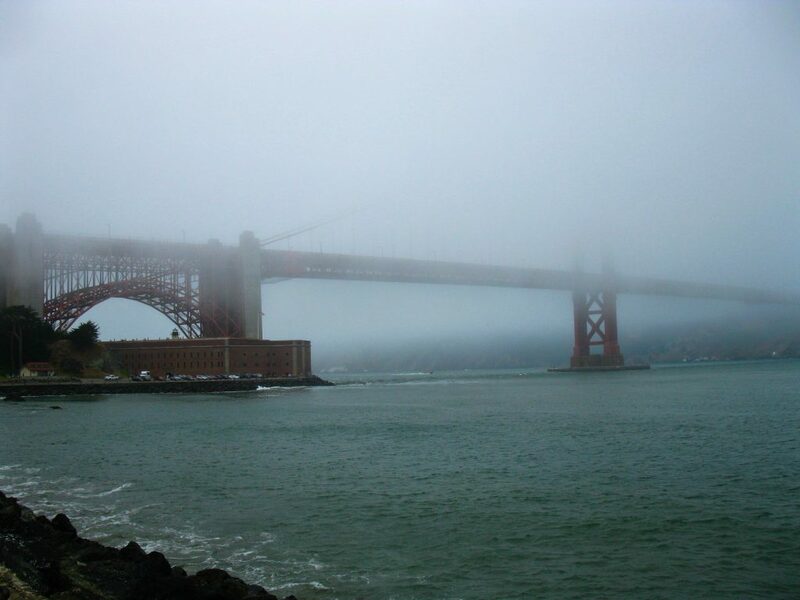 The “other” foggy city is by far one of my most favourite travel destinations. It’s a gem, even if the weather is a little too much like home, but maybe that’s part of the draw? It also doesn’t hurt that on both occasions I’ve traveled there, the locals were extremely friendly and helpful. Back in June, Josh and I went on a short trip there, as in three days long. Yes, that’s a jesus long flight to take for a short trip. Was it worth it? Abso-frickin-lutely. As this was Josh’s first time in San Fran, I wanted him to see what the city had to offer. I also did not want to be run off our feet exhausted before we got halfway through. Well we managed to cram a lot into our short visit and had a great time. I decided to split this guide into two posts, as one was a bit too long. Enjoy! 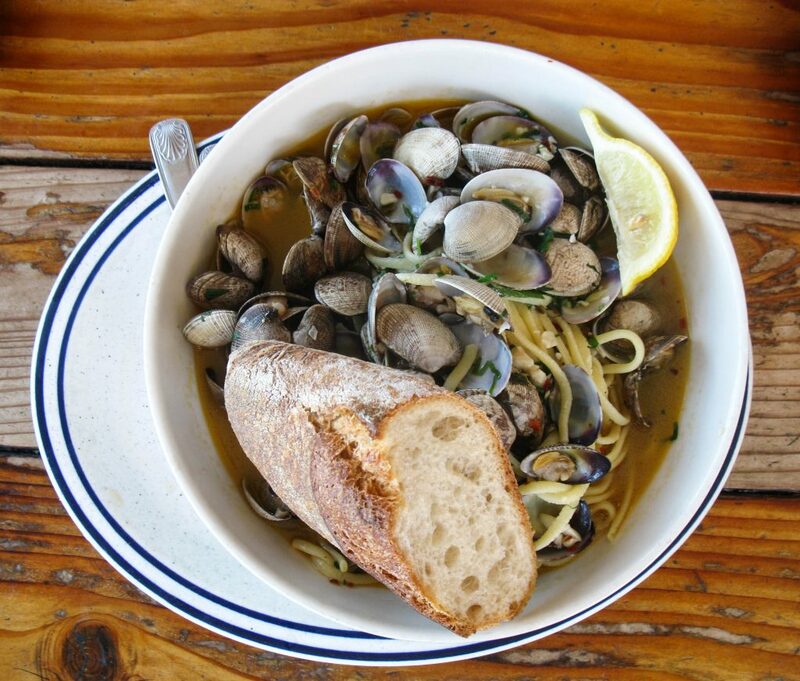 District – If you’re looking to save some money, look into some of the districts that are farther from Fisherman’s Wharf. We stayed in Fisherman’s Wharf, which is touristy, but definitely had an advantage for walking to the pier. If I were to go back again, I’d probably stay in the Mission district. From what I’ve been told, it has recently morphed into something unique. Really great shops and restaurant scene, not to mention some cool graffiti. Accommodations – San Francisco is really expensive guys. How much you pay largely depends on how much time you have to plan out your trip. If you’ve got some time, I recommend checking out Airbnb. They have a ton of apartments and private rooms to choose from, and if you sign up through my link we both get $25 credit! If you don’t have a lot of time, do what Josh and I did and book through Priceline. Make a bid on a hotel room and wait to see if they accept your bid. You won’t know what hotel you are staying in until it’s booked, but you can narrow it down by choosing the location, the minimum stars you want and the average review ratings. Priceline said the hotel had a pool, so I checked all the hotels in the area that had a pool before booking. This narrowed it down to two hotels and I was okay with either. We got ours for $216 taxes in per night, and we only booked 3 days before leaving. The price of our hotel booked elsewhere was $400 or so a night. Uber – This is a more expensive option, but it is faster than the bus, cheaper than cabs and you can carpool. We paid around $8US for most carpool ubers. If you are new to uber, use a friends referral code when signing up to get them a free ride, then start inviting others to get your own free! My code is here if you’re feeling generous, luh! Bus – As of 2017, Visitor Passports can be purchased for 3 consecutive days of unlimited rides on Muni, Muni Metro, historic streetcars, and cable cars for $32US. A single ride on a bus is $2.75US and the cable car will cost you $7US. Alternatively, you can buy a CityPass, which costs $94US each, but gets you three full days of unlimited access to the Muni Bus, Cable cars, and admission to several tourist sites, like the aquarium. 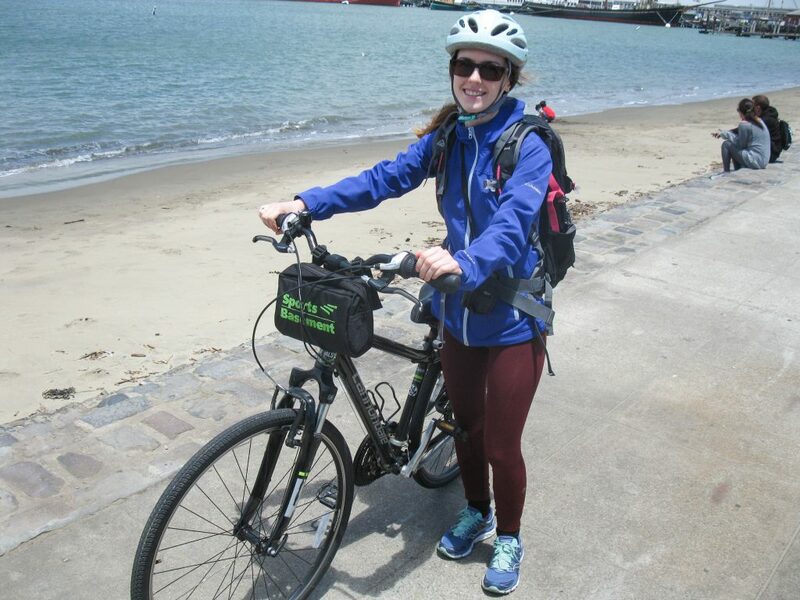 Bike – SO MANY BIKE RENTALS PLACES. I have a favourite, which I mention in my “how we spent our day” section. If you want some exercise it’s an extremely bike friendly city, with bikes lanes in lots of areas. However, it is a very hilly place, so unless you’re super into biking, you may want to go for a less sweaty option. Nice to do for one day though. There are over 4000 (!!!) 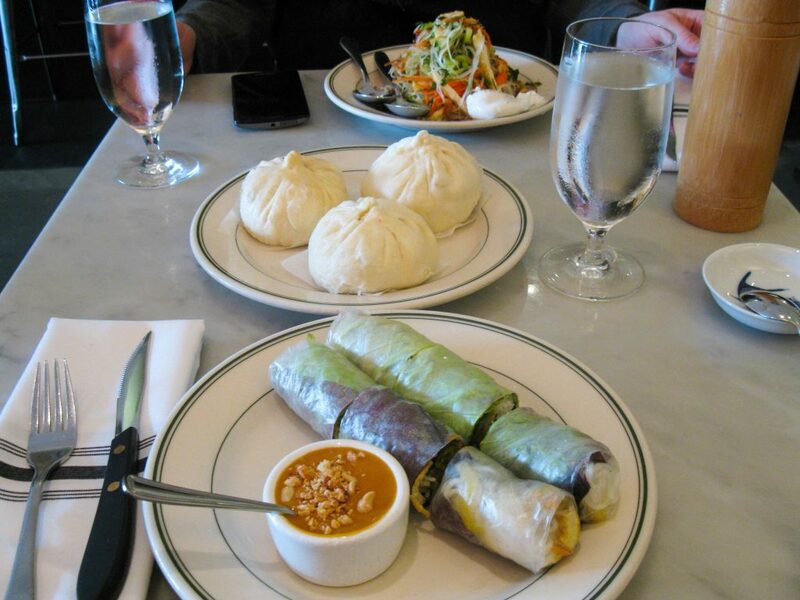 restaurants in San Francisco, and everyone is going to have their favourites. These are a few recommended to us by some locals, as well as some other places we checked out. 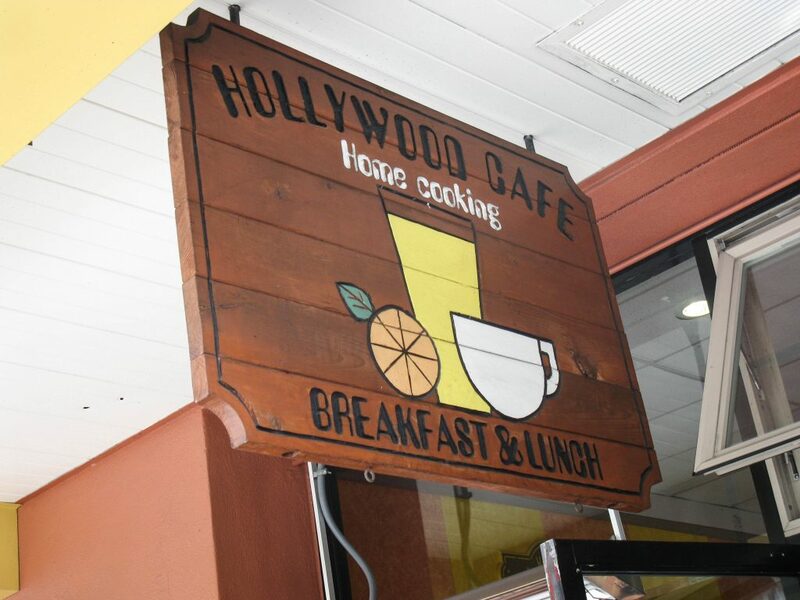 Hollywood Cafe – located in Fisherman’s Wharf. This place was close to our hotel and every single day had a line out the door. One day Josh went down to wait in line for us, and it actually went super quick and the food was good! The best part? They have these wicked fruit bowls, which they certainly do not skimp on. 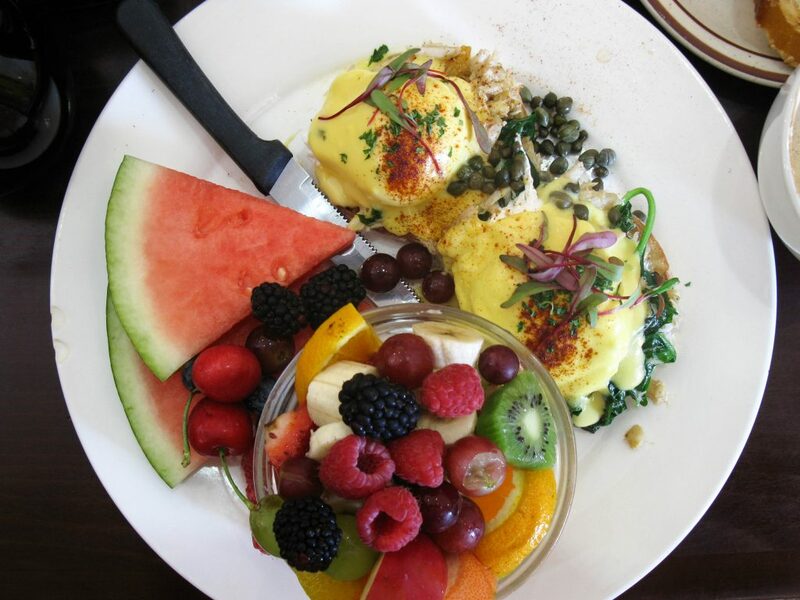 I had the dungeness crab eggs benedict, Josh, the crab omelette. They were pretty good, but if you’re expecting something like snow crab, you will be sorely disappointed. Way more “fishy” tasting. 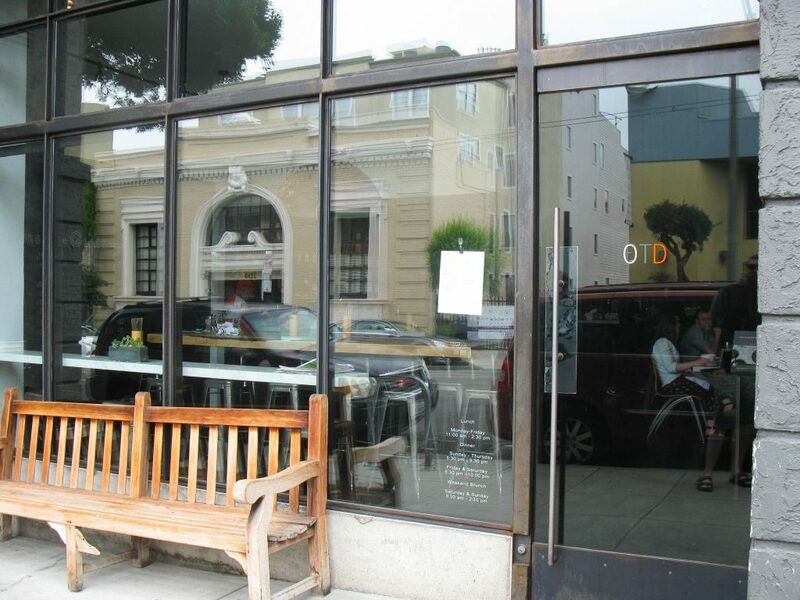 Out The Door – Located in the Mission district, this is a Vietnamese fusion restaurant that offers brunch on the weekend. Super delicious food, and easy to get into for brunch because it’s less known. It was recommended to us by locals, and we booked brunch on an app called opentable. Obviously not a traditional brunch, but if you like Vietnamese food or want to try it, this is the place to go. Only con I can think of is it’s really hard to find, there isn’t a sign outside the restaurant, just “OTD” written on the door in small writing. We had to get our uber driver to drop us off on the side of the road and then ask people on the street if they knew where it was. FISH – My Favourite meal of the trip. Located in Sausalito, so not technically San Francisco, but 100% worth the trip out there, especially if you do it how we did. 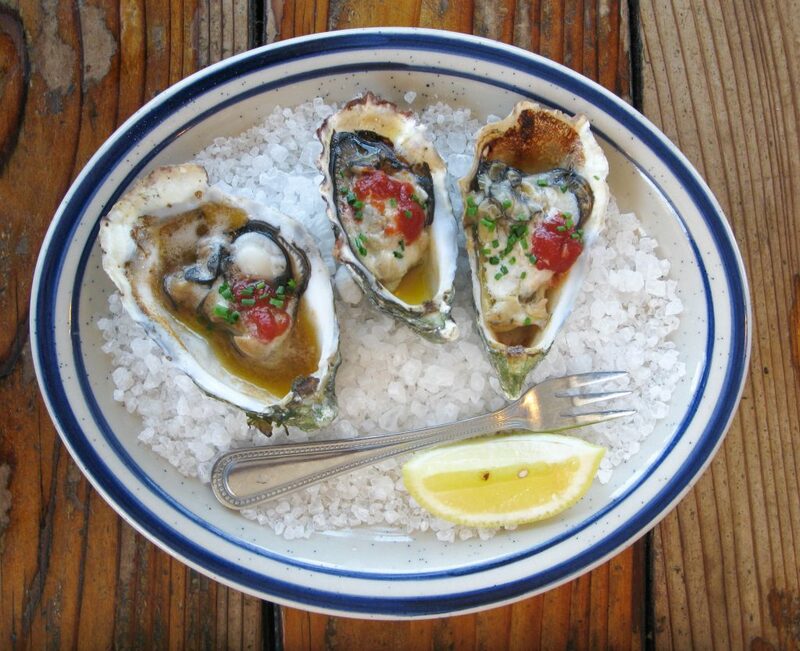 Delicious seafood, located on a yacht wharf, that serves out generous portions. It is a bit pricey, but not as bad as I thought it’d be. BBQ oysters, Tuna tacos, clam pasta, homemade iced tea, gelato and chocolate salted caramel pudding with biscotti. SO GOOD GUYS. Downfall, they only take cash. Locanda – Located in the Mission district, this is an Italian restaurant. Had a delicious cocktail and mushroom pasta here. Good food and nice atmosphere. Pacific Cafe – This is a very unique restaurant, located far away from the touristy area in Outer Richmond. My aunt and cousin brought us to this cute little cafe, as they’ve been going for years. Most of the staff have worked there for 30-40 years and the atmosphere is cozy, though definitely dated. Expect a line out the door, and unless you get there a bit before they open, you’re looking at a 45 minute wait. They do make it worth your while though, supplying you with free house wine on the sidewalk! And they continuously refill your glass when you are getting low. 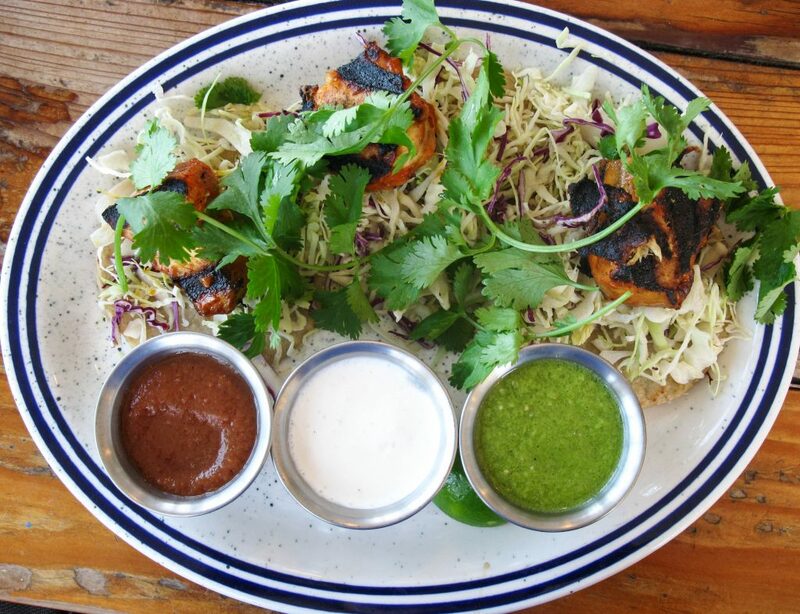 The food is home-style, delicious and unpretentious, a nice break from fancy restaurants. Highly recommended. ABV – Mission district and not a restaurant, but a bar with snack foods. Awesome cocktails and really great snack foods. “Whisky in Church” and “Gin & Celery” were top notch drinks and the sampling of snacks we had were all tasty and well thought out. That’s it for part one! 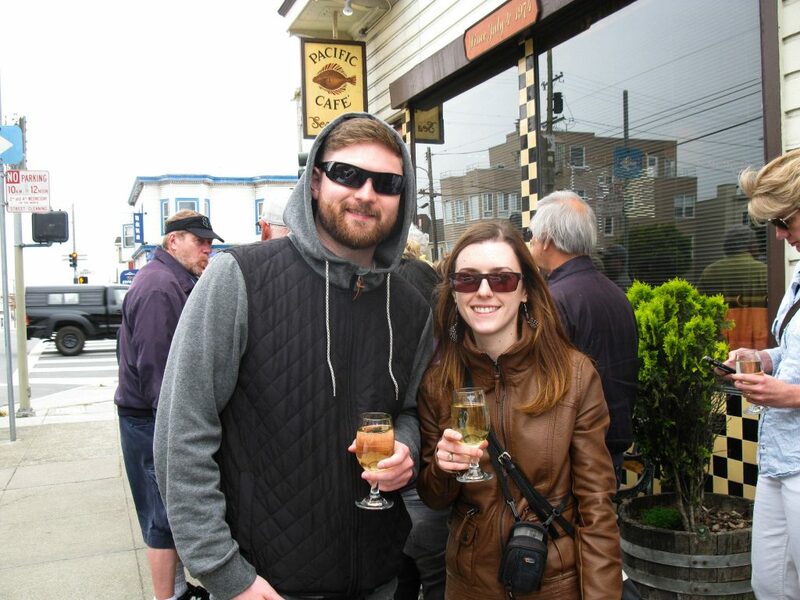 Stay tuned for the next post on how we spent our time in San Francisco. Any restaurants or hotels you’ve stayed in that you recommend? Let us know in the comments!